Jess~ She’s perfect! I’m truely happy for you and your family. The pic of your mom and dad made me tear up:) I know your family must be so proud of the “little Charli”!!! Jess, what a delightful little person 🙂 Already her magical Aunt Jess is capturing her personality 🙂 There is absoutely nothing like a newborn!!!! As you stated so well, a miracle from God. Congratulations to all from the “other side of the family”. We love you!! She is precious! I am so happy for you all. Can’t wait to see her! 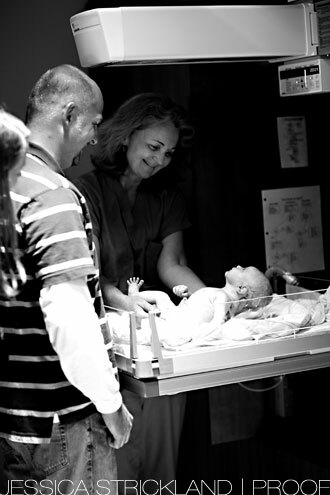 We are so happy for all of you and for the fact you all could share this miraculous experience. Life is so precious and a new life is such a hopeful new beginning. This little young lady will be a blessing to all of you and you all will be wonderful family. God is so wonderful. And thank you for your talent to be able to catch these first moments . The shot of your mom and dad almost brought me to tears! Thank God for autofocus…because I am sure you couldn’t see for the tears in your eyes! Congrats to all of your family! Congratulations on your sweet baby girl. I am so happy for you and your family. that photo of your parents embracing brought me to tears. 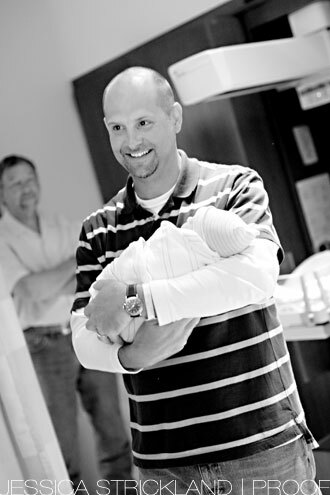 Beautiful does not even begin to describe Baby Charli, your family, and/or the pictures. Wow! Congratulations to ALL! GOD is great! What a blessing He gave you and Chris and your entire family. She is just beautiful! Debi and Ray’s enbraced made me cry to see the love they have for their family. Much Love and Blessing! PS Let me know if you need any errors or cleaning, wash, etc. done…I’m serious that way you can concentrate on baby! Congratulations! Those pictures brought tears to my eyes. So much joy and love. I Love it!!. She is precious. The pictures of her with her tongue out are priceless! God love her. Congratulations to mommy, daddy you have a miracle from God. Beautiful and wonderful! 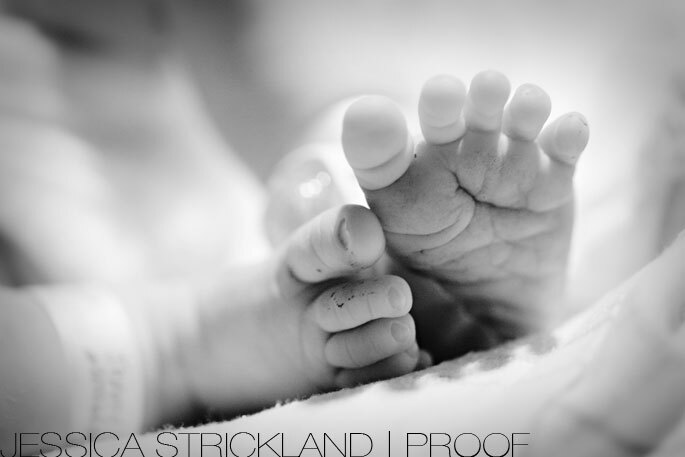 I love the tiny feet shot. give my love and all the best to your family!!! Oh she is so sweet!!!! Congratulations! It is so nice to see all of your family together for the amazing event. Jess, Thanks for the e-mail. She is beautiful and Chris and Jenny look so proud as well they are. The picture of your mom and dad brought back the memories of seeing your grandbabies for the fist time. It is truly a miracle. Love and congratulations to all the happy family..
Congratulations to Jenny and Chris and the entire Head family…..Jess, shall I dare say that you are next?????? The shot of Uncle Ray and Aunt Debbie is tremendous! She is absolutely prescious!!! We are so glad we have a new member to the family and can not wait to meet her. Glad everyone is doing good. Send our love and wishes to the new parents! MUCH LOVE!!!!!!! Our family is so blessed to have such a wonderful precious and beautiful baby girl. Thank you so much for sharing and I can’t wait to see and hold her. Congratulations to Charli’s proud new parents & grandparents. Everyone looks happy and relieved that all went well, especially Grandma Deb & Grandpa Ray. Congratulations to all of you. Awwww, what a precious gift to the world!! Congrats! Congrats Jess! It truly is the best thing in the whole world. I’m so happy for you and your family! Oh my goodness, how incredibly cute!! I love her little tongue sticking out! too cute!! Congrats to you, your sister, and your entire family! She is beautiful! I love the images you captured…especially the one of mom and dad! Wow! shes beautiful.. as i knew she would be. 🙂 the pic of ray and debbie made me tear 🙂 they are sooooo soo happy i know. Absolutely amazing! 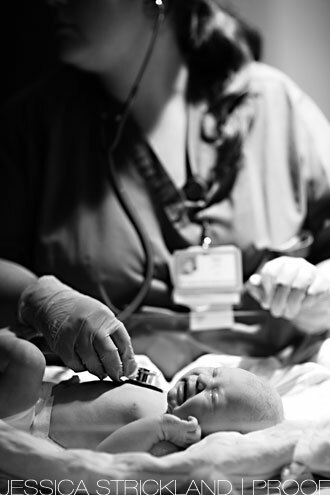 You are right..there is nothing in the world like the birth of a child!!! What a great name.. your pictures captured great moments! Hope Daddy, Mommy, and Baby are doing well. She is such a cutie! These photos make make me so excited to be an aunt for the first time this fall when my sister has her baby! Congratulations Aunt Jess! She’s beautiful!! What a beautiful baby. It makes me want to cry…so beautiful. she is soooo cute….can’t wait to work with her at the ballroom! CONGRATS!!! how exciting! she is absolutely adorable. i can’t imagine how happy you all must be! congrats! congrats! 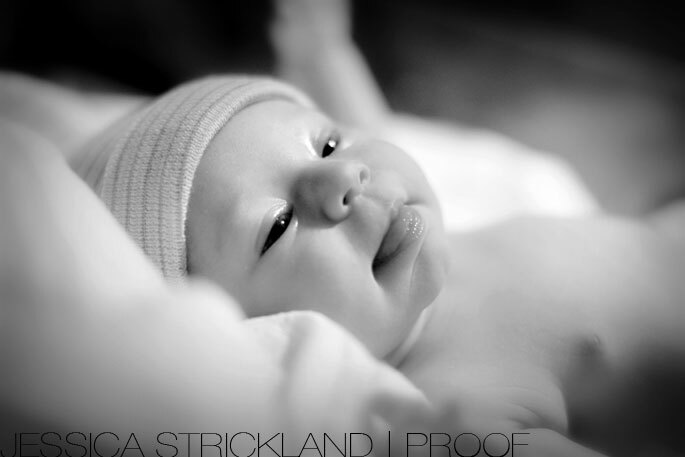 It makes my heart swell to see such a beautiful brand new baby! Jenny – You are blessed with a most precious gift and I know you will be wonderful at molding and guiding this little one throughout her life. Have faith that God has given this child to your family specifically because of the gifts you may each use to help her through it. What a great addition to a great family!I am so happy everyone is healthy! CONGRATULATIONS!!! Charlie Ann is BEAUTIFUL!! There is nothing more precious than a sweet baby girl. Thank you for sharing this wonderful time with all of us at THS. The pictures are amazing! I will share the pictures with the Junior Prom Committee next month during our Blue Devil Kick Off event. what a treasure! i love the pic of proud dad; and the grandparents shot is stunning. what a poignant moment you were able to capture! beautiful subject! beautiful work! All must be very proud. Photos are full of emotion! Yay! So excited for you!! You are such a sweet and deserving person and I am so glad for you and your family! Gorgeous pictures! Too bad you can’t be on call for those types of shoots! Priceless! Hope all is well! BTW, we have moved back to Indy, so our address has changed once again! Oh My Goodness! 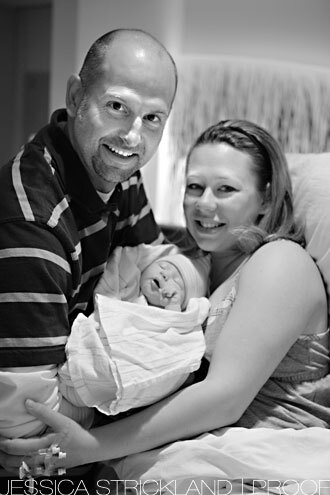 What precious moments for this new little family – preserved perfectly by you! I love these. 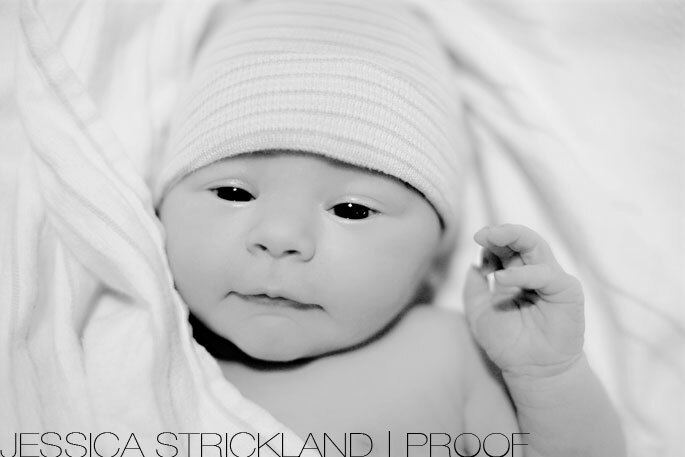 Congrats to all the Head and Strickland family…She is truly beautiful and already so loved…What a lucky girl. May little Charli experience all the wonderful things that the world is ready to share with her. Congrats Jess! She is a beauty! I’m sure your family is very happy. 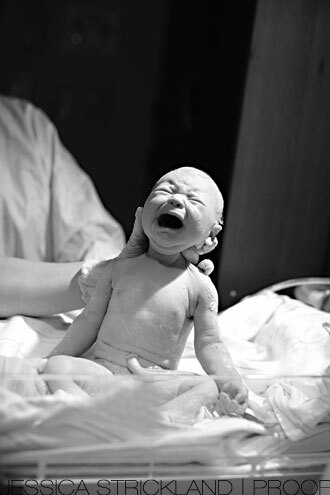 wow…these are images amazing images to start out a baby book. congratulations to charli for entering such a warm family. Wow, she is absolutely gorgeous! My daughter was the exact length and weight as Charli! How cool is that? I am going to look forward coming here to watch her grow. Congratulations auntie!